ELIXIRS.COM carries remedies that can be used on your pets, small animals, horses, farm animals. Homeopathy is safe for animals, fish, birds. A great place to start using homeopathy for animals is with Cell Salts. See our PETS & ANIMALS Health Category for Homeopathic Books and Remedies. 1) Use homeopathy for acute or sudden illness. Use Homeopathy for chronic conditions. See our popular arthritis product Rhus Tox for joint stiffness, older animals. 2) Feed your pet natural foods. If your pet is not recovering from an injury or illness, look at their diet. Raw or cooked vegetables can be put in a blender, chopped or blended and then added to their food for a more nutritious meal for your pet. 3) Vaccinate as little as possible. Dr. Christina Chambreau, a homeopathic veterinarian, thinks that about 60% of the health problems she sees in animals are due to over-immunization (from Homeopathy Today Nov 1998). When animals need to have their required shots, homeopathy can be used to help avoid vaccination reactions. One of the best ways to lessen problems is to vaccinate your animal with only one vaccine at a time. Animal damage is seen more often when multiple vaccinations are given. Please see our Nosode Category for many nosodes $19.99 to $23.95. West Nile Virus products and Canine Dapp. See specific nosodes available below and then order online at Select Your Nosode. Potency choices are 6C, 12C ,30C, 200C 1/2 oz with 400 pellets $23.99. The following is from the book Super-Nutrition for Animals "Veterinarians agree that vaccinations can cause a variety of problems in animals, but they disagree as to the breadth and severity of their reactions. Illness contracted after shots were given, may not necesarily be related to the vaccination. Some breeds react more strongly than others to vaccinations, such as Rottweilers, Harlequin Great Danes, Akitas and Weimaraners. Many animals develop urinary tract infections after their annual shots, especially when more than one type is given during the procedure. Tumors developing at the site of the injection is another 'side effect..'. " 4) Consider the emotional side of your animals. Homeopathy can be a natural alternative when stress is affecting your animals. We have remedies for anxiousness, agitation in animals. 5) Use Cell Salts and Bioplasma to provide a healthy foundation for your farm and home animals, birds, fish. We have customers working with large numbers of animals from rescue shelters, to dairies, to horses that have healthier animals from providing Bioplasma regularly and using individual Cell Salts for specific problems. 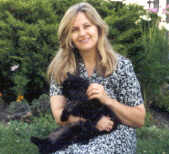 Thanks Carol for your email, "I own a natural pet supply store and I am daily asked questions regarding home remedies. After looking at your site, I found answers. I really enjoyed what you have to say and I have shared it with a friend. Thanks for sharing". Often you will find the correct remedy by using same remedies as you would for a human with the problem. Arthritis Rhus tox 3 pellets in food each day and watch for results in a few weeks. Feline Infectious Peritonitis is a remedy for cats for Infectious Peritonitis and vaccine reaction. 6C, 12C ,30C, 200C potency as an supplemental therapy. Leukemia Infection is a remedy for cats for Leukemia Infection and vaccine reaction. 6C, 12C ,30C, 200C potency as an supplemental therapy. Feline Rhinotrachelitis for Rhinotrachelitis and vaccine reaction. 6C, 12C ,30C, 200C potency as an supplemental therapy. Our very popular remedy for teeth, excess tartar Fragaria Vesca. Distemper and Parvo Canine DAPP Parvo usually hits puppies but older dogs can be susceptible. Puppies usually become sick sometime after five to six weeks of age, the time when the antibodies, from the mother’s colostrums (first milk) wear off. Parvo virus attacks the dog’s gastro-intestinal track. Heartworms Heartworm Nosode Heartworms are caused by mosquitoes, which have previously bitten an infected dog or cat. Heartworms lodge in the right side of the heart disrupting the efficiency of the heart itself. Symptoms of heartworm disease in dogs are vomiting, difficulty in breathing, coughing, lethargy, murmurs, and heart failure. Calendula Products for horses. A customer testimonial, "Hi Kathryn, Very stubborn bacterial case I"m treating with a horse. All 4 feet I"m afraid. The ONLY thing that is working is CALENDULA. Horse related products do NOT work. Calendula WORKS. Thank you! Sue H. Maine"
Horses are especially vulnerable due to over vaccination and suppressed immune systems. West Nile Virus West Nile Combination includes the 3 varieties of West Nile: West Nile Virus, St. Louis Encephalitis, California Encephalitis. Use regularly to stimulant the system. For bone fragments, add Hepar Sulphur to the above remedies. Equine Influenza 6C, 12C ,30C, 200C potency as an supplemental therapy. Equine Protozal Myeloencephalits 6C, 12C ,30C, 200C potency as an supplemental therapy. Prevention treatment: 1/2 oz product in tank of water every 3-6 months for smaller animals and herds 1 oz for larger herds. In trough add capful of Cell Salt needed. Diatomaceous Earth is used for flea and tick problems with pets and for parasites in livestock. Diatomaceous Earth is mined from fosssilized deposits of shells formed by tiny diatoms, single celled plants of the seas. Diatomaceous Earth is safe for animals dusted with it or in feed, but for insects it means death from dehydration when the diatoms pierce waxy shells of insects. If we use homeopathy and natural healing methods for ourselves, why not for our pets? Caring for various pets through the years, I have appreciated having homeopathy on hand. extricate him. The vet wanted to cut off the cat's leg, but the children would have none of that! on homeopathy and changed his diet. He lived for 19 years and continued to have full use of the leg. Remember that pets and farm animals will take homeopathic pellets, tablets or liquid easily in their food. Cell Salts safe and effective for all types of pets and animals.